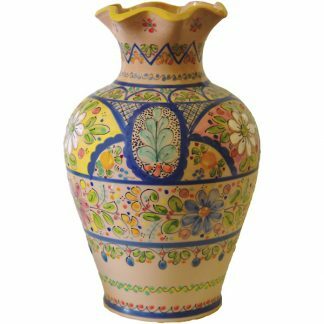 From Spain offers a variety of sizes of unique handmade ceramic and glass flower vases. 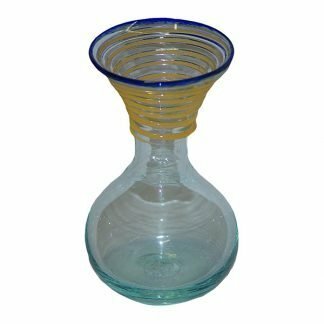 Choose from a selection of windowsill bud vases, vases for table settings and large vases for full flower bouquets. 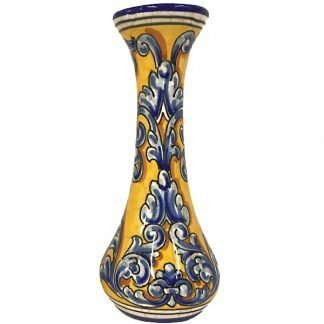 This original and artistic flower vase has been hand blown in Mallorca Spain. 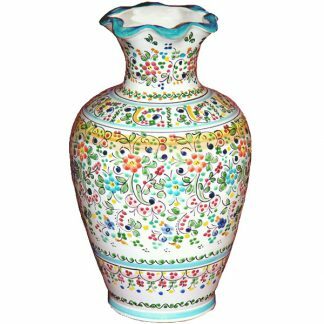 It also makes a wonderful table display when grouped together with other vases from this collection. 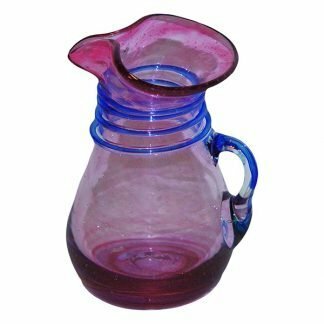 This would make a much appreciated house gift or wedding favor. 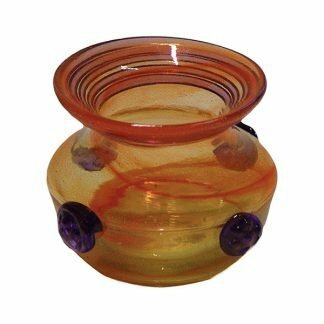 Photographing glass is especially difficult, and this photo doesn’t do justice to this gorgeous handmade vase. 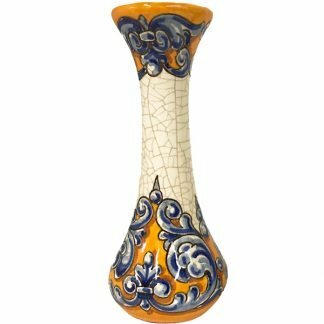 This original and sophisticated flower vase has been hand blown in Mallorca Spain. 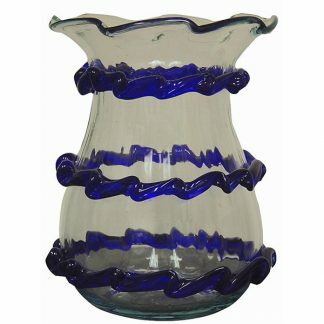 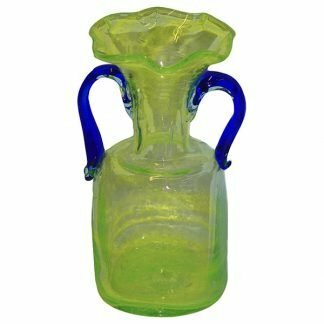 The clear glass has a rippled texture and the royal blue glass ribbons that surround the vase are also wavy and scalloped. 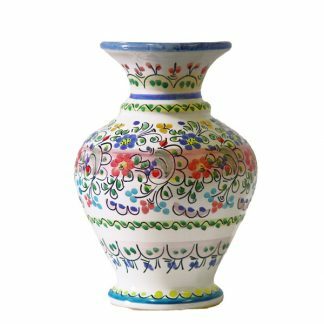 This pretty ceramic bud vase has been hand painted in Toledo, Spain and is a great gift idea. 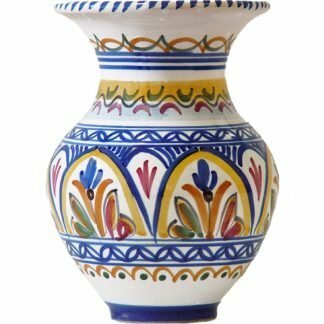 Each piece is signed by the artist in Spain.